Natural Navigation, Foraging, Bushcraft and Wilderness Skills! Tracking – animals and people! On Saturday 2nd May OCA Member get to join an all day Foraging workshop at a special Canoefest rate. This will be a condensed version of one of Richard’s usual Natural Navigation course. It is suitable for any outdoor enthusiast, including walkers, sailors, bushcrafters, mountain bikers, kayakers and pretty much everybody else. This will take elements from Richard’s Bushcraft Basics Course – tailored to suit those signed up. 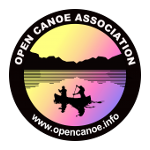 Core skills will be developed, and by the end of the day you will have extended skills widely regarded as being at the heart of canoe culture. Canoefest 2015 day of Foraging, Wild Food Gathering in the forests @ Rhewl. This will be again be based around Richard’s standard Foraging Course – though at a fraction of the usual cost!